If you’re like me and enjoy grapes, there are a couple things you should know beyond how many calories are in grapes. 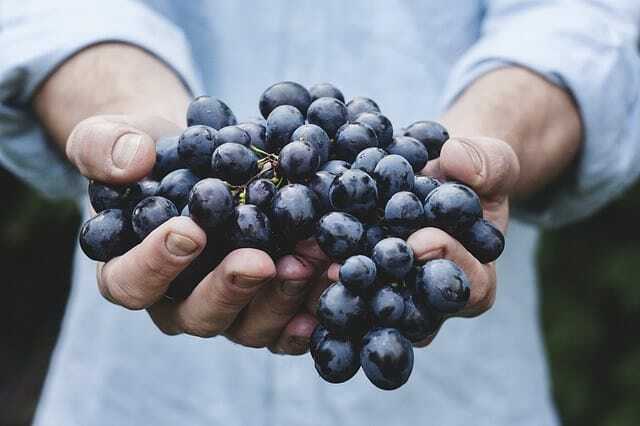 Today I’m going to be answering the tricky question: is eating grapes good for weight loss and maintaining a healthy body weight? Grapes are low in calories, about 62 calories per cup, but high in Glycemic Index, relative to other fruits. This is problematic for anyone who struggles with blood sugar irregularities or diabetes. Most of the calories come from carbohydrates, therefore to reduce their fattening effect, they should be eaten alongside fat or protein to slow sugar absorption. When you add grapes to smoothies containing some fat (like nut butter) and protein, you reduce the spike in blood sugar, as well as feel full longer. Keep reading to get all the tips, tricks and smoothie recipes that enable you to enjoy grapes without adding extra pounds! Grapes, especially red grapes, have a long history of health claims. From red wine to grape seed extract, there is no shortage of grape-related superfoods. But there’s more to the story, so make sure you get all the information. Grapes are low in saturated fat and have zero cholesterol. Grapes are also a good source of manganese, potassium and copper. As far as vitamins go, you’d find vitamins C and K plus trace amounts of vitamins A, B and E.
Red grapes are high in resveratrol, a phytonutrient found in the skin of the fruit. Resveratrol has demonstrated anti-inflammatory and anti-oxidant effects in clinical trials. There is also strong evidence suggesting it may increase longevity. However, most of the research completed on grape health benefits use isolated extracts from the skin and seeds of the grapes. This doesn’t mean that eating the whole fruit is less effective, but the phytochemicals may not be as potent. The anti-oxidants in grapes have been associated with a reduced cancer risk. They also have the potential to boost cognitive function, which could positively impact aging and risk for degenerative neurological conditions. If you are trying to lose weight, you have probably already discovered calorie counting. When counting calories, low calorie foods can be very appealing since they allow you to eat more volume than high calorie foods. For example, the same weight of cashews would contain 553 calories… a pretty big difference! Yes, you'd sometimes hear the claim that grapes have more calories than other fruits. Let’s look at the numbers - grapes contain 62 calories per cup. It’s more than watermelon (46 calories) but less than oranges (85). However bear in mind that the difference is small, and the calorie count itself is so low that calling grapes "low calorie food" is appropriate and makes sense. Note: red or green European type grapes, such as Thompson seedless, have slightly higher calorie count, at 104 calories per cup. But it’s important to know that calories are not the only thing that matters when it comes to weight loss. The hormonal impact of food can contribute to how much weight you gain or lose, and how much food you can eat in a day. Grapes might be low in calories, but all of the calories in grapes come from carbohydrates. 1 cup of grapes contain 16 grams of carbs, 15 grams of which are sugar. Without any fat or protein to slow sugar absorption, this can cause an issue. The glycemic index (GI) measures how quickly a food raises blood sugar levels. Grapes have a G﻿﻿I of 59, making them one of the highest GI fruits – though still low glycemic. This can be problematic for anyone who struggles with blood sugar irregularities or diabetes. The connection between fattening and sugar is well known, but it is important to understand how it works, so we can make more informed decisions about the amount and type of sugar we consume. When we eat carbohydrates, our blood sugar rises. In order to get the sugar out of our bloodstream and into our cells, the body releases insulin. Insulin’s main function in the body is to convert energy into fat. It is literally the “fat storage hormone.” So, it makes sense to say that if you want to limit fat storage, you should control insulin levels. The more often you eat high-sugar meals, the more insulin your body will need to produce a similar effect. The truth is, that sugar is sugar. The main difference between sugar from fruits, and sugar from refined sources is the nutrient density. Fruits contain real nutrition, anti-oxidants and fibers which are more likely to contribute to overall health than cake is. But whether sugar comes from fruits, starches, honey, maple syrup, or table sugar… it all affects our blood sugar levels about the same. If you are trying to lose weight it’s a good idea to limit your sugar intake. It’s also recommended that you combine high sugar foods, like grapes with foods high in protein and fat. This will help buffer the blood sugar spike, and keep you full longer. The best way to use grapes for their health benefits, without gaining weight is to balance the sugar with healthy fat and protein. Grapes make a great addition to weight loss ﻿﻿smoothies. They are incredibly easy to store in the freezer and keep on hand for recipes. They add sweetness and hydration to your recipes, and are delicious. 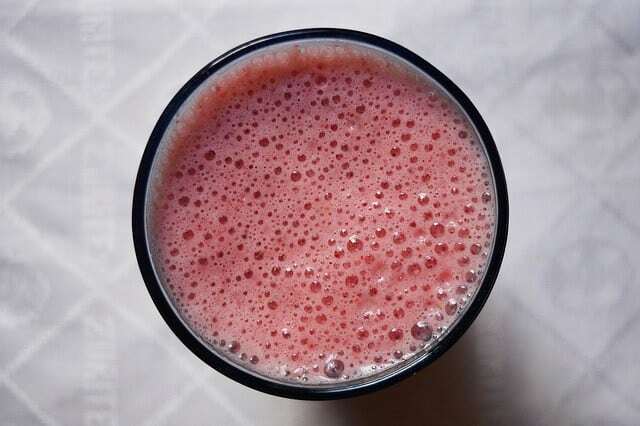 Grapes work well in a varitey of smoothies, but using a good quality b﻿﻿ullet bl﻿﻿ender or a high performance blender is recommnded, as they'll be able to handle the grape skin more effectively, avoiding noticeable skin chunks in the smoothie. For tips on how to easily incorporate homemade smoothies into your busy lifestyle, check out our Cheat Sheets section here. If you ate a lot of peanut butter and grape jelly sandwiches as a kid, you will love this recipe. 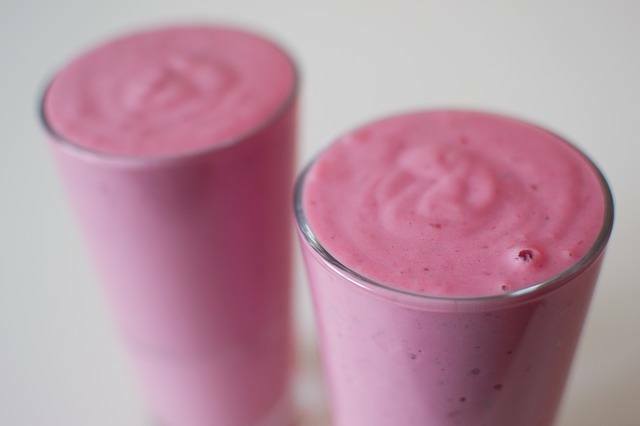 It’s filled with protein and healthy fats balance the sugar and make for a healthy shake, great for after a workout. Combine the grapes, peanut butter, protein powder, almond milk and ice in your blender jar - any ﻿﻿kind of blende﻿﻿r will be good for this smoothie. Blend on high for 1-3 minutes until completely smooth. Pour into a glass or travel cup, and enjoy when you need a healthy sweet treat. This smoothie recipe combines grapes with greens for a potent dose of longevity-enhancing anti-oxidants. You can’t go wrong with this incredibly healthy recipe. Combine the grapes, hemp seeds, spinach, wheatgrass powder, almond milk and ice in your blender jar. Pour into a glass or travel cup, and enjoy when you need an anti-oxidant blast. If you love snacking on sour patch kids, or cherry blasters you will fall in love with this smoothie. The perfect combination of sweet and sour make this recipe totally addictive. Combine the grapes, lemon juice, cashew butter, almond milk and ice in your blender jar. Pour into a glass or travel cup, and enjoy a sour candy in a glass. 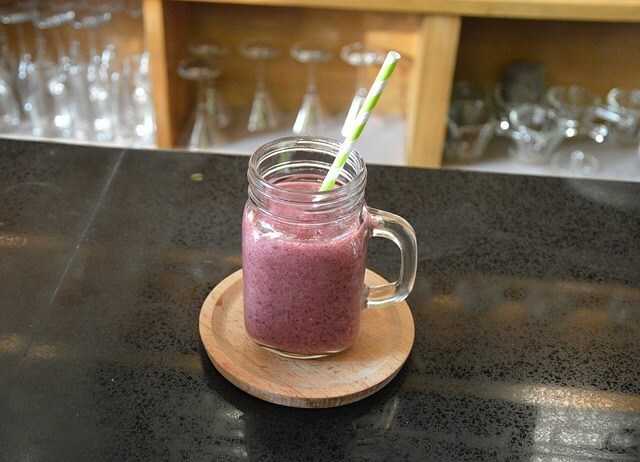 This shake is a creamy treat with a delicious grape and coconut flavor. Packed with healthy fats from coconut, it’s a great snack when you need to stay full for hours. Combine the grapes, coconut milk, protein powder, almond milk and ice in your blender jar. Pour into a glass or travel cup, and enjoy as a healthy snack. If you’re a fan of chocolate covered cherries, try this recipe for a new and exciting combo! 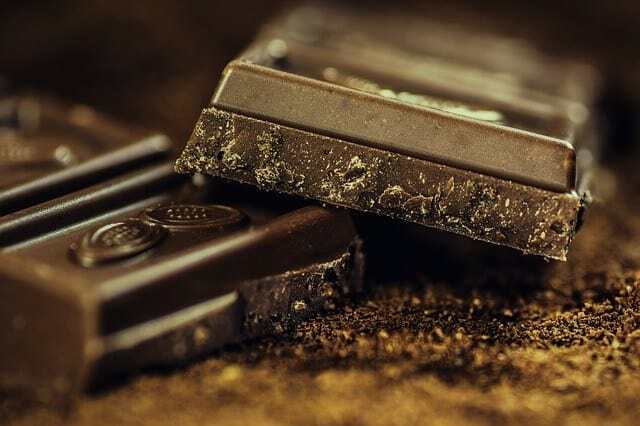 The anti-oxidants in both dark chocolate and grapes are amazing for heart health too. First, soak your cashews for 20 minutes or overnight in water. Drain before using. Combine the grapes, cacao powder, soaked cashews, almond milk, protein powder and ice in your blender jar. Pour into a glass or travel cup, and enjoy! Grapes can be part of a plan to lose weight if eaten smartly. You can eat them in moderate quantities or combine in a healthy smoothie. Now you have all the information you need to use them effectively. Keep portion size around 1 cup to prevent sugar overload. Always combine with a fat or protein to balance blood sugar. 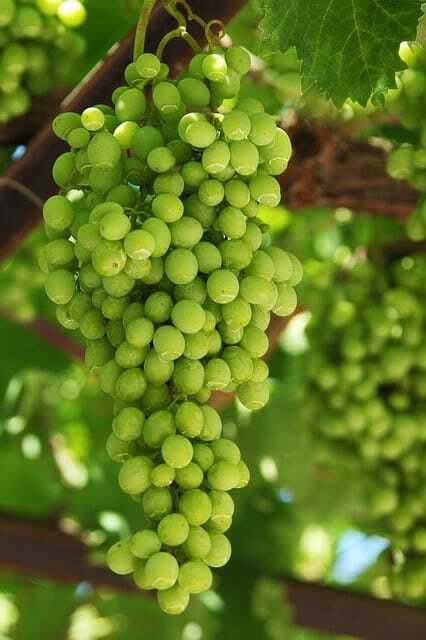 Get organic grapes if possible, since grapes are a high-pesticide food. I would love to know which recipes you try! The PB & J Protein Shake is my favorite. Let me know yours in the comments below. Bottom Line - Grapes are low in calories but high in Glycemic Index relative to other fruits. This is problematic for anyone who struggles with blood sugar.